Even if you’re on a budget, there’s no reason why your wedding shouldn’t be the epitome of elegance. You must have spent a lot of time, effort, and money on the venue and the event planning. But are you following the right beauty regime for your big day? Becoming a gorgeous bride doesn’t have to be complicated at all. If you want to learn more about cosmetic surgeries and are also looking for some wedding beauty trends, you’re on the right track. Wondering which beauty trends are surely going to enhance your bridal look? The world fell in love with Meghan Markle’s sophisticated yet down-to-earth look at the Royal wedding. She flaunted her freckles, rocked that lip gloss, and let her natural beauty shine with the help of some well-placed cosmetics! It’s no surprise that brides everywhere are gearing themselves up for a more natural look than the pre-Markle era. To achieve this effect, you can go for just a thin layer of foundation, a lip gloss or lip stain, and line your eyes in a natural manner. No need to go for those false lashes, that cakey base, or even the artificial roses on your cheeks! Your happiness should be the best cosmetic on your big day. If you’re not too much into the natural look, you should be looking at another burgeoning trend—that of bright eyelids. Invest in a heavily pigmented eyeshadow palette; it would be an excellent start to your post-marriage makeup collection too. While your dress may be white (not necessarily, though), your eyes can surely pop with a lovely bright color. Go with the flow, experiment, and see which color looks best. You can always match it to the flowers in your bouquet or whatever color theme you had in mind for the whole event. There’s nothing quite like a summer wedding, but the heat can make you uncomfortable. Even if all the events are set in an air-conditioned hall, you don’t want to take the risk of sweating and running your hair, especially if you prefer outdoor photography. This is why updos are all the rage with weddings these days. Try out some bridal hairstyles for the wedding beforehand; a side bun, some cornrows with a ponytail; or even a classy fishtail braid would look beautiful and feel immensely comfortable. This is again the choice of a bride who wants to go bold on her wedding day. Red lipstick is sure to make a gorgeous statement no matter where you are. Plus, it doesn’t need to be set off by any accessory or clothing to look simply perfect. 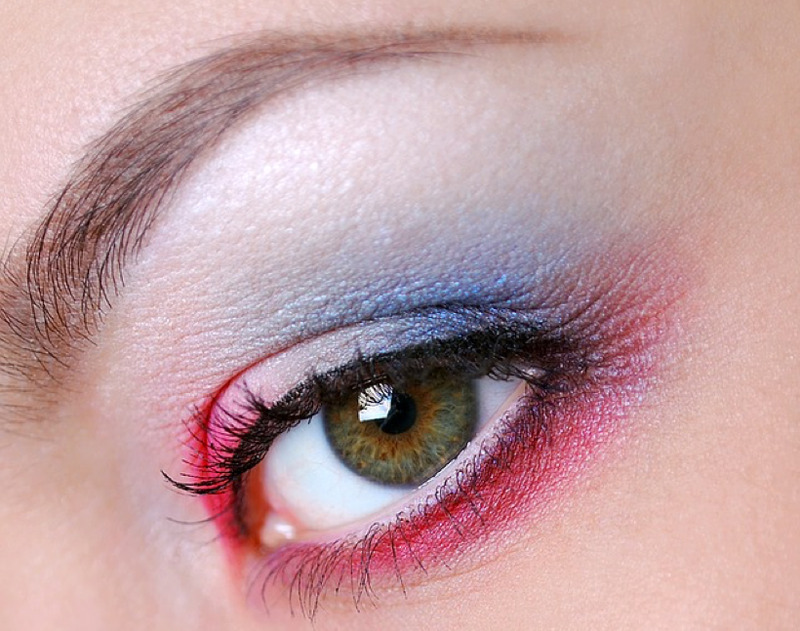 You may not want to pair it with a bold eye color, but don’t be afraid of trying out several kinds of looks. Go with what you like best. After all, this is your day. Don’t underestimate the importance of a strong, firm, well-defined brow. The days of thin plucked to death, sharp eyebrows are official and thankfully over. If you have natural, extra-thin eyebrows, give them a bold touch with a high-quality eyebrow pencil.